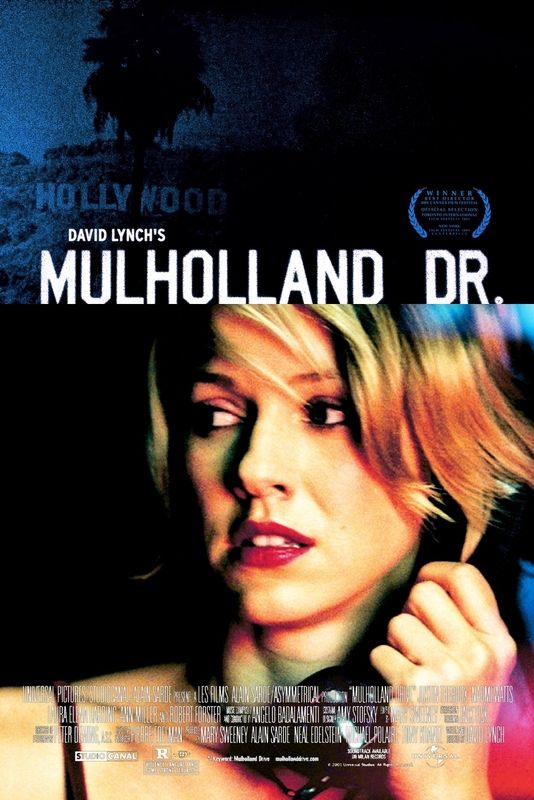 I have no idea why I am writing this, except as a form of literary release, but after watching an IMDB 8.1, David Lynch's 'Mulholland Drive' upon recommendation - I am paddling my way out of hell with my blog post. This film, simply put, is a dissociative. It's as though David Lynch has magically captured the hot breathed, unhinged state of conciousness you feel as you stagger around your neighbourhood, descending into illness with influenza. It's far from Lynch hitting the bullseye as the critics would have you believe; in fact it doesn't hit the dartboard or bounce from the wire, or even the dartboard wall, but falls to the mat on a pissed Monday night . Forget gushy exhalations - to the modern cinema lover this is one K-Hole of a film and in 2015 it has eroded to leave a fractured art school wreck. 1. It labours every camera angle leaving the viewer separated from the story, trapped in the mechanics of indulgent camera-work. It's worth remind yourself that the second you feel like this with any movie or photograph, it's a failure. 2. It is littered with bad production decisions. You can literally see the storyboards, the dressing of wardrobe mannequins as you are watching it, which become magnified by the cartoon character lead roles. 3. The story's 'turning point' drowns the plot instead of unveiling it. 4. The lead girls magnetic looks eclipse the film entirely - I can imagine this was great for Lynch's pre-release meetings / investors / publicity office, but they are so visually intriguing to watch that the whole film spins on a lumpy axis. You spend the film in a synthetic bubble of teenage sexual anxiety as you plot wade, floating above the soup thick cinemaphotography on a raft of detachment. 5. Supporting actors and actresses are weak and uncharismatic, like the film production management meetings, the pathetic Woody-Harleson-a-like 'Cowboy' and let's not comprehend how the hell Billy Ray Cyrus ended up here other than a Lynch fullfilling a burbon addled Hollywood party promise. It's not genius - it's indulgent, laborious, dated, eroded, film school rubbish.